Ebonites welcomed Dr. Welcome Khubeka to grace Ebony Park branch with study skills and career guidance talk. 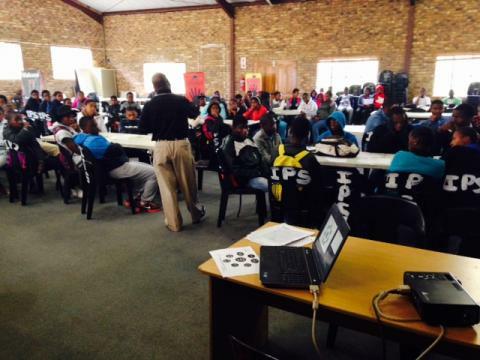 Ebonites had a chance to experience Dr. Khubeka just like their brothers and sisters did in 2014. Dr. Khubeka has been faithful in giving IkamvaYouth Gauteng Branches (except Mamelodi Branch) motivational, career, and study skills talks. How learners should manage their time, especial when it comes to their school work. He advised learners to make their own timetables which will guide them on how to study all their subjects which they are doing at school. He also urged learners to prioritise their school work over their other activities. He advised learners to reward themselves every time they achieve something. Choosing careers based on research and passion. Pursuing dreams and not giving up on what they want. A lot have benefited from his talks. 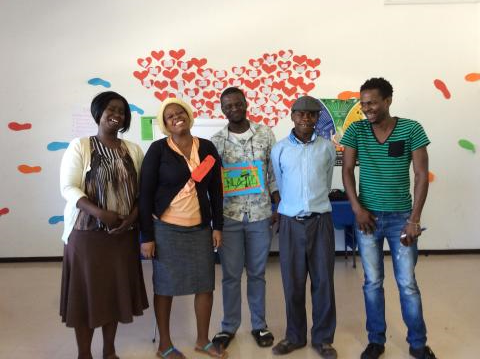 In 2013, IkamvaYouth witnessed a high number of varsity placements and employment in Gauteng branches, it showed that such workshops were effective and prepared learners on their future endeavours. IkamvaYouth helps high school learners to improve their marks and get to varsity. The only way learners can choose their career path wisely is to involve professionals like Dr. Welcome and others like him to help them realize that their dreams are possible. ‘’Our engagement with the IkamvaYouth (Ivory Park and Ebony Park) branches is on how to assist learners to study in a creative way. Hence we believe that empowering them with the academic study skills at an early stage will contribute positively in their academic journey. The sessions which we offer to them cover critical study skills such as, time management, how to take notes, how to take examinations (focusing on analysing an assessment) and staying motivated during their studies’’, said Dr. Khubeka. IkamvaYouth Ebony Park branch coordinator, Nyasha Zvomuya, mentioned that Dr. Khubeka’s talks have been good for the Ebonites, as many of them didn’t give us a hard time when choosing careers to pursue. We are grateful to partner with him and Gauteng branches will always open the door for Dr. Khubeka. “It’s crucial for learners to take part in these workshops which help them to make career choices and gain effective study skills. We have witnessed how learners in lower grades react to such talks and presume It will be easy for them to make good career decisions once they reach grade 12”said Michael Thema (Branch Assistant, Ebony Park). IkamvaYouth Gauteng branches will continue to inspire high school learners with such talks from professionals like Mr Khubeka. 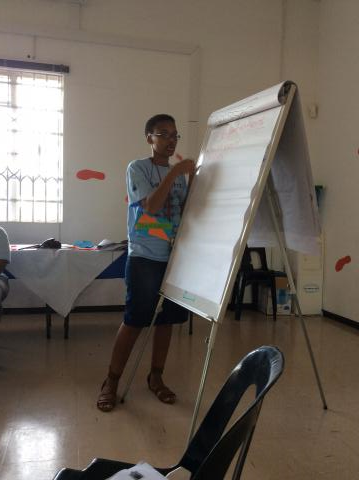 Friday 24 April 2015 marked the kick start of a much anticipated annual strategic planning weekend for 2015 at the Chesterville branch. The day boasted with a positive attendance of excited new and old tutors, learner representatives from grade 9 to grade 12, as well as staff. The first day of SPW is usually not so intense with activities and information. 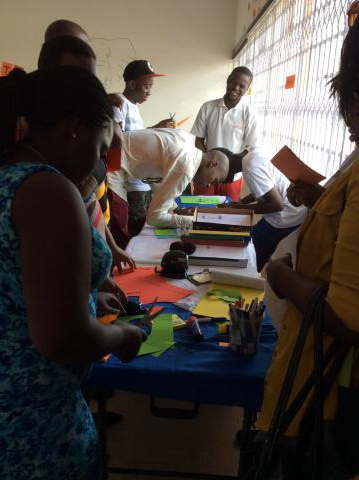 It started off smoothly with everyone creating nametags for themselves and a brief introduction from each person accompanied by an ice breaker to make everyone feel welcome. The learners felt a bit anxious, but after the introduction session they were at ease and ready for the weekend ahead. The day continued to unfold by setting of the ground rules and expectations of the whole weekend from everyone present. The purpose of the SPW was also outlined by Thandazo the branch coordinator so that the importance of the event is clearly understood. 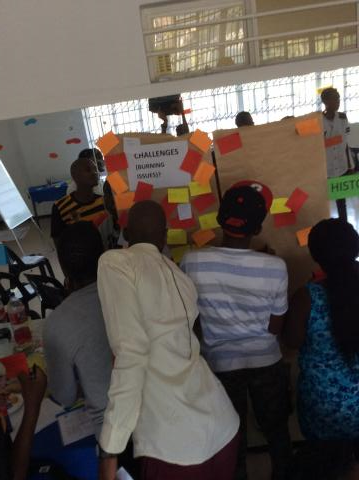 The creation of an ikamvayouth timeline and the branches important events that have happened over the years allowed for a perfect transition into identifying the challenges and successes as well as burning issues that were going to be the center of discussion during the SPW as a whole. Tea and delicious muffins on arrival of Day 2 gave everyone the fire to get started and energized for the day. 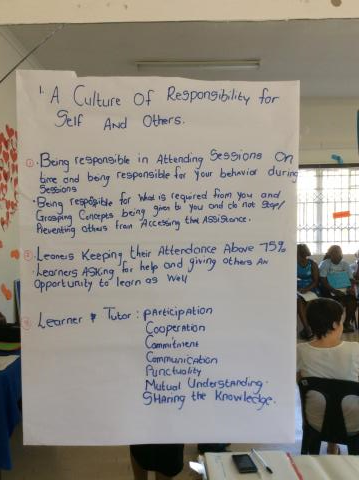 After a recap of the previous day, the Ikamvayouth values were outlined and discussed in order for everyone to have a better understanding of what IY is about and what the organisation is built upon. The KZN district coordinator, Thabisile Seme gave a brief overview of the different committees within Ikamvayouth as an organisation and an introduction to the portfolios that each branch have. New portfolio heads were elected and the rest of the audience had to allocate themselves into a portfolio, where each portfolio was discussed along with all its successes, challenges and plans for the year ahead. The day wouldn’t be complete without lunch being served. 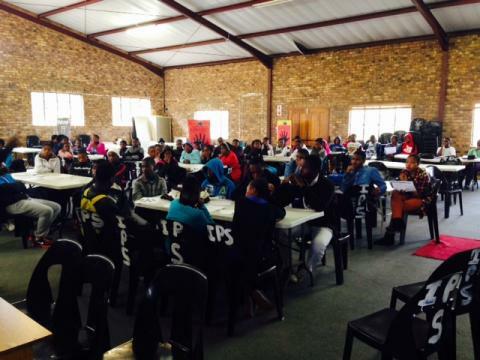 Everyone was treated to mouth-watering lunch and by the end of the day the room was filled with tutors and learners ready for a successful year at Ikamvayouth. To view more pictures of the day, click here.